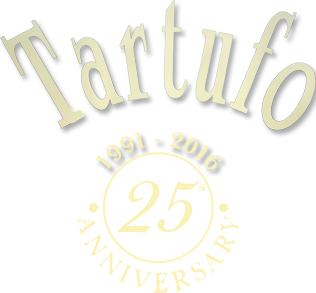 Chocolaterie Tartufo in the heart of Leuven is a business with a passion. Business-owner Philip Benoit just loves developing new flavour palettes that create the foundation for his sinfully tasty pralines and truffles. Come and visit our delightful shop and put your own gift box together… or simply select your own sweet sin. Because admit it, what could be better than to treat yourself from time to time to hand-made chocolate truffles and pralines?